Pullmantur, een toonaangevend bedrijf in Spanje, aanbiedingen vakantie cruises aan boord van haar moderne vloot van vijf schepen, met een dagelijkse capaciteit van meer dan 12.000 passagiers. 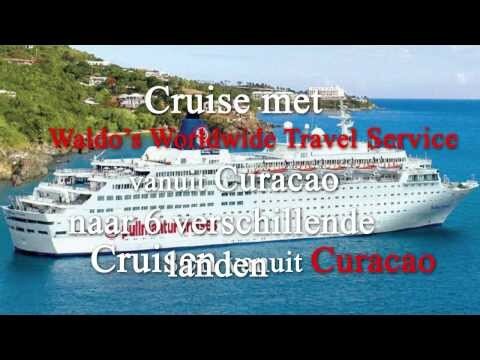 Als een tour- operator, biedt het bedrijf vakantiepakketten naar het Caribisch gebied en land circuits in Europa en Afrika. Waldo’s Worldwide Travel Service is de enigste agent van Pullmantur in Suriname. Een van de top verkopende cruise ship deal is het schip Monarch. The ship Monarch has a capacity of 2769 passengers and offers the best facilities for fun and entertainment for all the family.Monarch is the new flagship of the cruise company along the Sovereign. The Monarch was built in 1991 in the shipyard of Chantiers de l’Atlantique (now STX France) in Saint-Nazaire, western France. With 73,192 tons, the Monarch became one of the largest cruise ships in the time of construction. The city raises stories, feelings and memories in the imagination of the visit. It is a living and to live it. Cartagena is rich in culture, is the jewel of the Caribbean and the door of the Americas. Let yourself be a whole variety of flavors and colors, the friendliness of its people and their paradise islands full of charms natural. Cartagena is Vibrant and full of life are its endless nights in you can enjoy the taste of real good music and rhythm Caribbean. Experience it and feel it. Panama hides a lot of history. It has a rich legacy of its past concentrated in the Old Colonial Panama, constituted by a large variety of religious buildings, civil, military, palaces and various neighborhoods stale flavor. The famous Canal of Panama is one of the greatest works engineering of all the times. Nature, beaches and islands , tropical rainforest, and modernity. This is Panama. This beautiful island has the privilege to have the most friendly and hospitable people of the the Caribbean, You´ll feel like at home. It is ideal for a family and to enjoy of its pristine beaches, as Palm Beach, or multiple activities we offer in our tours, such as walk on water, do snuba, 4×4 across the island or soak in Atlantis VI, the famous submarine Aruba, and observe the beautiful reefs and abundant coral and colorful aquatic life. Next, we can visit its famous commercial and shopping. Authenticity. This is what makes Curacao so special in the Caribbean islands. During centuries, its inhabitants have built a rich and vibrant culture with historical roots and hospital, mixed European and African. The most surprising is its architecture, a style marked colonial painted with bright colors of the Caribbean, highlighting the beautiful city of Willemstad. There are so many activities we offer, you will not know which one to choose: panoramic boat, jet ski, kayak, snorkelling, cave explorations Hato, or just visiting the city and go shopping. The city of Caracas, capital of Venezuela, is located at the foot of the imposing El Avila Mount, 2,600 meters altitude. There is the national park that receives the same name, a lush natural setting formed by thick vegetation, mountains and clouds. since its top you can enjoy stunning views Caribbean sea and the city of Caracas. This caribbean city is a fusion between tradition and modernity, and a cultural center, with major museums and festivals of international theater. It is also recognized for its excellent restaurants and large, luxurious and modern malls.